Are your pupils trying for a music place at Secondary School? One of the main issues facing music teachers who have pupils attempting to gain entry to a secondary school via a music place is that unless the pupil can pass the initial Music aptitude Test round they will not be able to demonstrate their performance abilities and often gifted musicians fail to get to the second round. Music Aptitude UK has invaluable resources available to help you deliver focused MAT tuition online or via downloadable tests, whichever best suits your teaching environment. Unlimited full 60 question online Music Aptitude Tests. 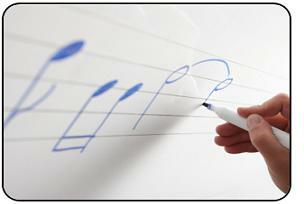 Mini Online Musical Aptitude Tests to accomodate shorter lesson times. Discounts on downloadable audio and printed test resources. 1CD tests delivered to your door include audio, access to worksheets and answer sheets. 2Instant download tests including audio, access to worksheets and answer sheets. 3Optional Membership allows access to online ear training tests, unlimited music aptitude tests and discounts on all store products.